STOCKHOLM / ROME, Jan 21 (IPS) - A man walks down the street. He is surrounded by the sound. From my first day there I had found that in this impoverished nation a person like me was considered to be a walking wallet, incessantly confronted with phrases like: "I helped you, will you not help me?" "Monsieur, only something small." I had to give some Congolese Francs to soldiers and policemen and US dollars to bureaucrats, the price depended on their status and position. The "policeman" who had stopped me was particularily threatening and I did not like the sight of Kalashnikovs in the hands of his companions. However, my friends were well connected. Since they were Congolese citizens responsible for the wellbeing of a UN official, they found the situation embarrassing. I did not carry a camera and could accordingly not have taken any photo. My Congolese friends spent more than half an hour trying to convince the threatening "policeman" to leave me alone. Finally one of them called a high positioned politician and handed the mobile to my adversary. Listening to the phone voice the self-proclaimed law enforcer became visibly scared and quickly disappeared. The Democratic Republic of Congo (DRC) is a dangerous place. In 1997, Larent-Désiré Kabila became President after the kleptocrat Sese Seko Mobuto had fled to Morocco. Tensions between Kabila and interfering neighbouring countries caused the so called Second Congo War, involving the armies of nine African countries and at least twenty other armed groups. When Kabila was assassinated in 2001 he was succeeded by his son Joseph, who still rules the country. By 2008 the Second Congo War had caused 5.4 million deaths, the deadliest conflict since World War II. In 2003, foreign armies had pulled out of Congo, though ethnic rivalries had become endemic while warring fractions try to control the gold, diamonds and cobalt mining, as well as oil drilling. Within such a panorama of violence, death and suffering, my encounter with false law enforcement was insignificant, though I was reminded of how vulnerable an outsider can be within a corrupt and violent environment where s/he does not speak the local language and furthermore is ignorant of hidden dangers, behavioural codes and power constellations. 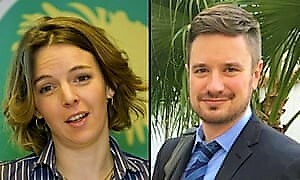 On 12 March 2017, Zaida Catalán and Michael Sharp were killed close to the village of Bunkonde in Central Congo.1 On 24 April, a video of the murder was presented by the Congolese Government to the international press corps. It showed how Catalán and Sharp were shot and beheaded by men wearing the red bandannas of Kanuina Nsapu rebels. The UN experts were investigating mass murders suspected to have been committed by Government troops. They spoke only English and French and had arrived at their fatal meeting on local motorbike taxis. On the video, the perpetrators spoke Tshilub, the language of Kanuina Nsapu rebels, though they made several linguistic errors. Orders were given by an invisible person, speaking French and Lingala (the language commonly spoken by Government troops), while one of the murderers in Tshiluba declared: "We belong to Kamuina Nsapu. When you come and force us to behave in an evil manner you die!" The sharp and detached video recording gives the impression of a staged incident. The day before her death, Catalán had on her mobile phone registered a meeting with a member of Kamuina Nsapu. In Tshiluba he advised the UN observers to postpone the meeting, the Bunkonde area was extremely dangerous for people like them. The interpreters falsely translated the man´s warning as a statement that it was perfectly safe to attend the meeting. The interpreters were later exposed as Government agents. This and several other details (diary entries, phone records, testimonies) scrutinized by both local and international experts seem to indicate that the murders were instigated by the Congolese Government. In November 2018, Gregory B. Starr, former UN Under-Secretary-General for Safety and Security, presented a 47-page report on the murder of Catalán and Sharp. Contrary to documentation available to the UN and leaked to the international press, Sharp´s report did not mention any indication of Governmental involvement. Instead it criticized Catalán´s and Sharp's decision to use motorbike taxis, stating it allowed the murder to take place. Michael Sharp had a BA in history from Eastern Mennonite University, Harrisonburg USA and a MA in Peace Studies and Conflict Resolution at Philipps-Universität, Marburg, Germany. From 2012 to 2015, he served as Eastern Congo Coordinator for The Mennonite Central Committee. In 2015 he began contract employment with the UN Group of Experts on the Democratic Republic of the Congo. Zaída Catalán was a vegan, animal rights activist, and feminist. She had a BA in law from Stockholm University, Sweden. She had been vice president of the youth organisation of The Swedish Green Party, but left politics to support vulnerable groups in conflict areas. After working for EUPOL (The European Union Police and Rule of Law) in Afghanistan, the West Bank and the DRC she became an expert of humanitarian issues within the same UN Group as Michael Sharp. Catalán and Sharp remind me of other young idealists I have met, who by bilateral and international organisations quite irresponsibly have been sent on extremely dangerous missions. They were unescorted brought to their death on motorbike taxis, probably due to the fact that they assumed it would be easier for witnesses to testify about the massacre they were investigating if there were no UN soldiers present, as they were presumed to cooperate with the Government. The UN experts were lured into a deadly trap, something that might happen to any stranger investigating crimes within a context s/he is not entirely familiar with. What is particularily worrisome in this case is that a former Director of the U.S. Diplomatic Security Service and former UN Under-Secretary-General blamed the death of two young idealists working for the UN on their own carelessness, while he for political reasons neglected ample evidence of the Congolese Government´s involvement in a gruesome crime. 1 They were members of a group of experts focusing its activities on areas of the DRC "affected by regional and international networks providing support to illegal armed groups, criminal networks and perpetrators of serious violations of international humanitarian law and human rights abuses". The group was established in accordance with The United Nations Security Council Resolution 1533 (2004) (available at https://web.archive.org/web/20150917125926/http://www.un.org/sc/committees/1533/index.shtml).